Armenian history over the last 100 years has been marked by three tragedies that would impact the collective consciousness of the nation: the genocide of 1915; the Spitak earthquake of 1988; and the still unresolved Nagorno-Karabakh conflict with neighboring Azerbaijan. Each event left an indelible imprint on Armenian society, as well as a high degree of reverence for those most directly affected, including persons with acquired disabilities. However, in spite of recent experiences with conflict and disaster, the Armenian public remains generally unaware of the daily challenges that men and women with disabilities face in accessing basic human rights that many take for granted. Among these rights are constitutionally-guaranteed provisions on the right to political participation. 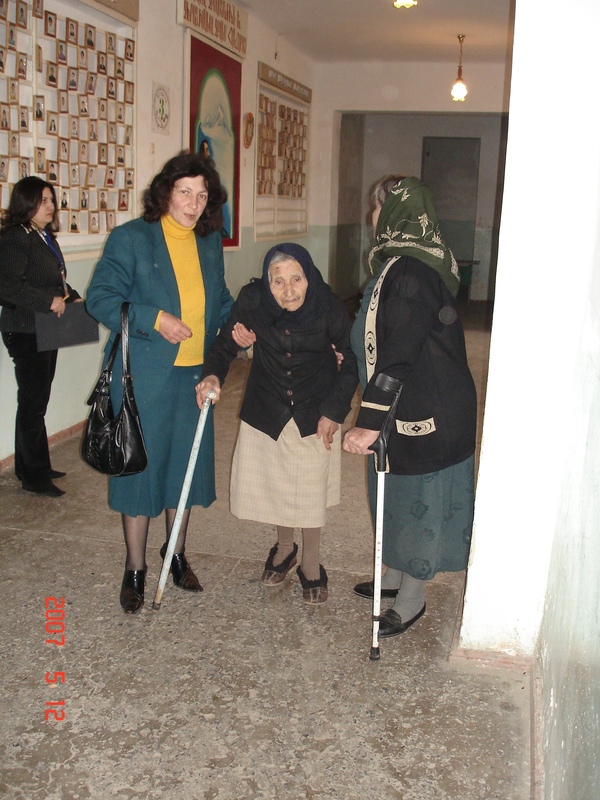 The limitations that many Armenians with disabilities encounter even simply trying to access a polling station (which are usually hosted in public buildings such as schools) can be daunting. 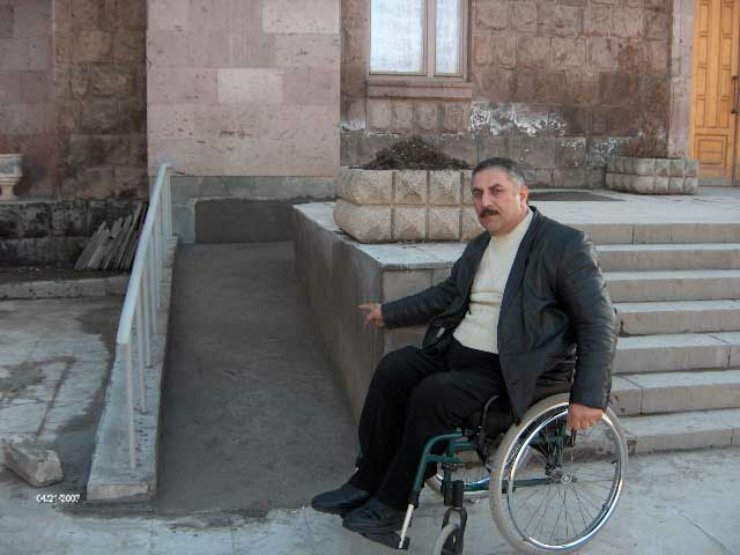 Only a small fraction of public buildings in Armenia are fully accessible by persons with disabilities, and the few that qualify are mainly concentrated in the capital, Yerevan. From August 2006 through March 2008, a local disability rights organization called the Disabled Center for Development of Education and Culture (PAROS) and the International Foundation for Electoral Systems (IFES) worked with a PAROS-led coalition of 9 disability organizations to implement a project designed to empower Armenians with disabilities to participate in the elections for the National Assembly (parliament) and Presidency. The coalition operated in 6 marzes (provinces) and 8 towns of Armenia, including Yerevan, Gyumri, Vanadzor, Spitak, Chambarak, Stepanavan, Noyemberyan and Goris. The project focused on enabling voters with disabilities to exercise their right to vote and informing the general public about the challenges faced by persons with disabilities in participating in the political process. PAROS, the coalition and IFES were able to conduct a national program on disability awareness and enfranchisement that made the 2007 and 2008 parliamentary and presidential elections amongst the most accessible and inclusive in the history of Armenia. Armenian voters with disabilities, which in some regions represent as much as 30% of the population, have faced unequal rights compared with other voters. Aside from architectural obstacles such as a lack of access ramps, there was also a growing public stigma in regards to persons with disabilities. To address this stigma, PAROS and IFES led the development of an informational campaign to raise awareness on the equal rights of Armenians with disabilities, including political and electoral rights. A series of televised public service announcements were aired nationally, and Armenian journalists provided positive media attention on project activities (such as the development of a tactile ballot guide). An increased awareness of disability rights was buttressed by strong support from the Armenian government, endorsements by high-ranking elected officials and election candidates, and an increased public interest. The principle of self-sufficiency in the voting process resulted in a movement away from the use of mobile ballot boxes to serve all voters with disabilities, seen as a contentious source of fraud and exclusion in prior elections, in favor of inclusive in-person voting. Increasing the number of voters in person who had a disability meant that polling stations had to become more accessible, a reality readily accepted by Armenian authorities. To facilitate access to polling stations, the project funded a number of access ramps. Though the number of new ramps constructed represented only a small fraction of a greater need throughout the country, they were a critical first step in increasing the accessibility of polling stations. 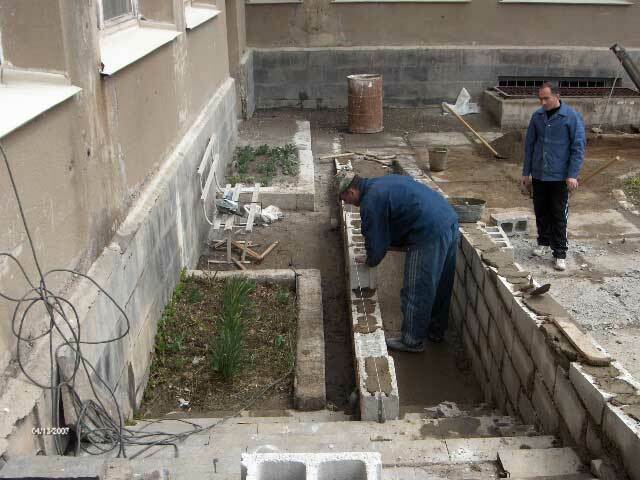 The involvement of Armenia’s private sector was critical, as it helped provide needed funding for construction of wheelchair access ramps to polling stations. Though access ramps are an essential component of accessibility for voters with physical disabilities, voters with other types of disabilities encounter other obstacles, which the project also sought to address. For example, a paper ballot alone may not be accessible for people who are blind or have low vision. For the 2007 elections, the project supported the development and distribution of tactile ballot guides to more than 2,000 polling stations across Armenia. 500 copies of speaking books with instructions for using tactile ballot guides on Election Day were recorded and distributed to voters with visual disabilities. Though a new, sustainable cooperation between the DPO coalition led by PAROS and the Central Election Commission (CEC), the CEC realized the value of tactile ballot guides and supported new legislation that would allow the use of tactile ballot guides as a voting assistive device. In 2008, the CEC had fully embraced tactile ballot guides, choosing to produce and distribute them on their own after consultations with IFES. In 2008, the CEC also debuted a new policy to allow voters with disabilities to request a transfer from their regular polling station to a different polling station that was accessible. While the program was too new at the time to be widely publicized, it was a major step forward. The CEC was also persuaded to add a new ramp to its headquarters in Yerevan, so that it could ensure greater access for all CEC visitors and employees with disabilities. To support voters who have hearing disabilities and use sign language, the CEC produced televised public service announcements that included a sign language interpreter. Lastly, in 2008 most official announcements from the CEC included a universal symbol for disability and information regarding services for persons with disabilities for the very first time. The above-mentioned project initiatives were each groundbreaking in their own right and had measurable impact in improving the civic and electoral rights of persons with disabilities in Armenia. The work helped create understanding and support on the part of all Armenians and raised standards and expectations for the full inclusion of persons with disabilities into not only the electoral and political life of the country, but highlighted the need to promote inclusivity and equal rights as part of Armenian democracy and independence.